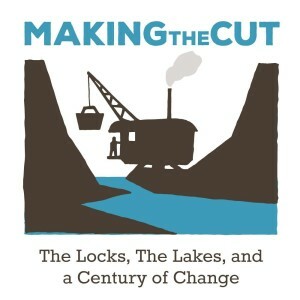 Hear some of the contestants from the ‘Making the Cut’ Songwriting Contest perform their songs about the centennial of the Ballard Locks and Lake Washington Ship Canal. This concert is part of the ‘Presidents Day at the Locks‘ festivities. The concert will feature nine of the many contestants in the contest. Each act will perform about three songs, including their contest entry. Judging for the “Making The Cut” contest is still in progress. The top 15 songs will be professionally recorded, thanks to a grant from 4Culture. A CD will be released in early July. Featured song: Across the Lakes, July 4, 1917 – A great event was staged to mark the opening of the locks, but what happened to the last Duwamish village on the Black River? Featured song: Lift Me Up – A trip through the locks as an ode to the journey of life. Featured song: The Fish Ladder Song – A catchy sing-along about watching fish as they continue their life cycle. Featured song: Clunk Go the Shovels – Workers of many nationalities add their efforts to dig the cut. Featured song: 1916 Salmon Run – From the point of view of some very confused fish. Featured song: Lost & Found at the Ballard Locks – A jazzy tune about a kayaking trip through the canal on a warm summer day. Featured song: Ballard Locks Engineers & Sailors – From the point of view of the optimistic immigrant, a tribute to the people who find solutions and get things done.